FamilyFarmed‘s Good Food Accelerator is constantly expanding its offering to help entrepreneurs. This Monday (March 25), GFA is staging its first webinar, hosted by our friends at Parsnip — a partnership marketing tool that helps brands connect with other brands, events, influencers and agencies to work together on co-marketing activities that grow your business. Register here for the free webinar, which takes from 1-2 p.m. central time. Erin Lenhardt and Sally Rogers of Parsnip spell out what partnership marketing means in the following contributed article. 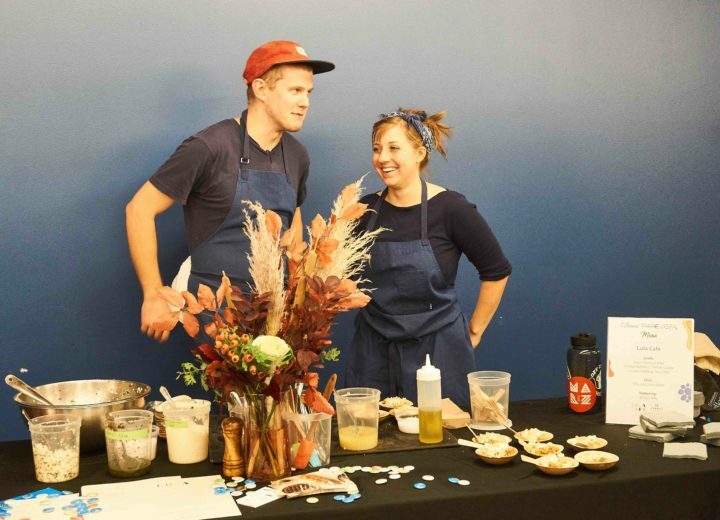 And meet current and graduate Good Food Accelerator Fellows at FamilyFarmed’s Good Food EXPO this Friday and Saturday (March 22 and 23); details at the end of the article. Building a food business is hard work. Depending on what stage your business is in and what kind of product you’re making, it can also be lonely. That’s where there’s some good news: You don’t need to build your business alone. In fact, your business will only be made stronger by working with the right partners at your side. Good partners make for good business. Every business needs good partners. You’re most likely already working with some! Partners such as co-packers, accounting or bookkeeping firms, brokers and distributors, and resellers or retailers can all help to support your daily operations and drive the growth of your business. These may be some of the more obvious partners that you can and should use to develop and grow your business — but what other businesses might make good partners for you? Partners who can help you grow your business through marketing activities are some of the best partners around. Though marketing partnerships tend to be overlooked, they are equally as important and impactful as the other types of partners you rely upon to run your business. A 2017 study by Hinge Marketing found that partnership marketing delivers the number one return on investment when it comes to where to put your marketing dollars. Marketing partnerships are everywhere. A quick survey of the partnership landscape over the last week alone includes the likes of Porsche x Puma, L’Oréal x uBiome, and sweetgreen x FoodCorps. Why are so many companies entering into marketing partnerships, and how do you do it well? Screen shot of Parsnip’s home page. Aligned partnerships mean that each organization gets to share in the other’s audience, work together to build brand equity around common values or interests, and if done well, help each other make money too. In the example of sweetgreen x FoodCorps, both organizations are aligned around their missions to bring better food to the table: one in the fast casual space, the other in school cafeterias. Together, they are working to reimagine the school cafeteria experience. By working together on this strategic initiative, each organization gets to reinforce and build brand equity around healthy food. Each organization’s audience is slightly different, though, which means that by working together, each gets access to a new group of people who care about the shared mission. And while sweetgreen has pledged to spend $1 million on this initiative, the parents and children who stand to benefit from this partnership may turn into more loyal sweetgreen customers in the long run, which is how the partnership has the potential to help drive sales. There are dozens of ways that brands can work together on co-marketing activities. One of the easiest ways to get started is on an Instagram giveaway, such as the “SuperHer Sunday”-themed giveaway that Chicago-based brand SOCIAL Sparkling Wine recently did with Harvest Snaps. Giveaways are the low-hanging fruit of partnership marketing. They require very little time and investment, while also having the potential to help you grow your social following by as much as 70 percent faster. That said, Instagram giveaways just scratch the surface when it comes to partnership marketing activities. 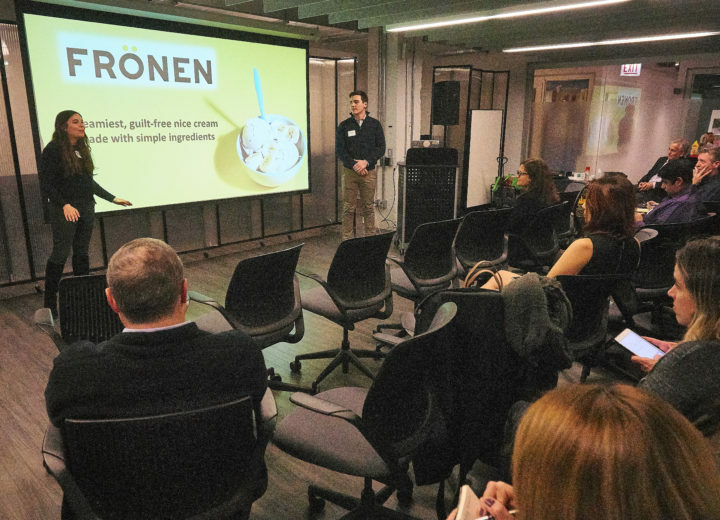 Why not work together to create co-branded products, share grocery store demo space or trade show booth costs, or provide each other with secondary placement in the grocery store aisle? What about swapping sample inserts with companies that are shipping out customer orders daily, or working with your local community of makers to create and promote a holiday-themed gift box? The sky is often the limit when it comes to how creative you can be when it comes to working with marketing partners. For more ideas, check out how to execute co-marketing activities beyond the giveaway. The secret to finding your best marketing partners is to become clear on what your customer values about your brand and what problems your product solves for them. 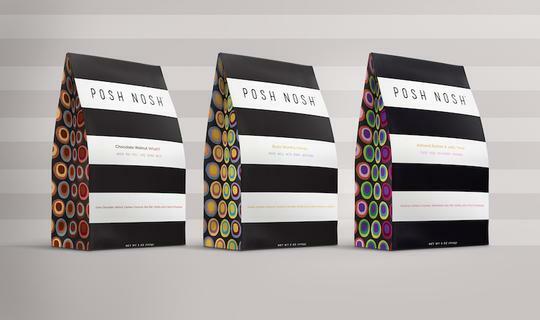 If you’ve created a perfectly delicious vegan protein bar, look to connect with other brands that also value and promote plant-based nutrition, and those that are also serving your customers’ desire to find nutrition on-the-go. If you are listening, your customers are telling you who your next partners should be. Finding and connecting with the right brands and organizations to share the audiences, build brand equity, and drive revenues takes time. If you’d like to find and connect with the right like-minded organizations to help you grow your brand, Parsnip can help. 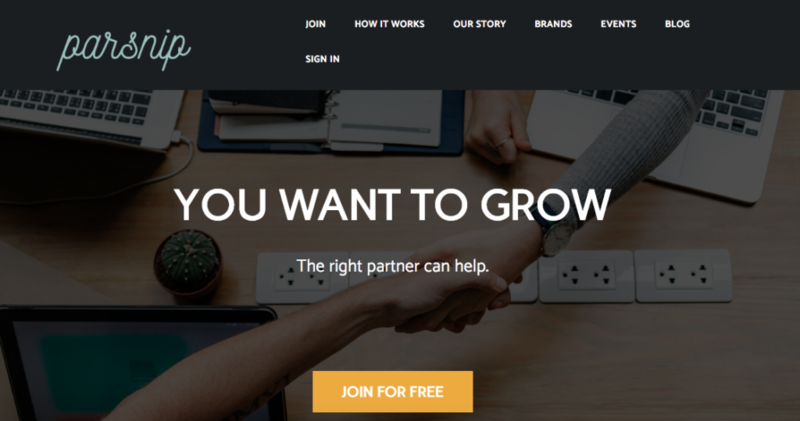 Founded by two San Francisco-based food entrepreneurs who are on a mission to help the better-for-you brands grow, Parsnip is a partnership marketing tool that helps facilitate connections designed to help you grow your business. It’s free to join and use. Want to learn more about the Good Food Accelerator? Join us at the 15th Anniversary Good Food EXPO this Friday and Saturday (March 22 and 23) at University of Illinois at Chicago’s Isador and Sadie Dorin Forum. Several current and graduate Fellows will be showing off their products in the Good Food Marketplace and the Good Food Court. Buy tickets for Friday’s Good Food Trade Show and pre-register for Saturday’s free Good Food Festival on the EXPO website.